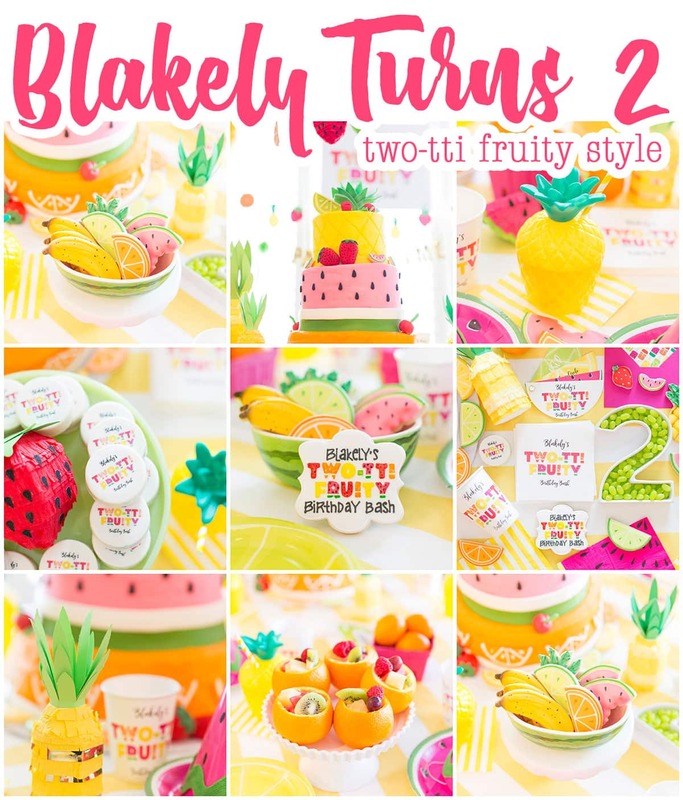 Two-tti Fruity Birthday Party: Blakely Turns 2! 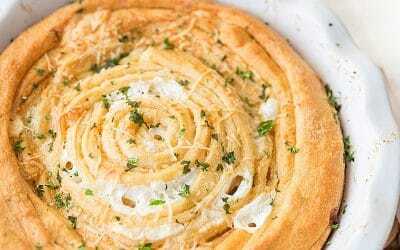 Little Baby Pizzazzerie is TWO YEARS OLD, ya’ll! I know. I can’t believe it either. Weren’t we just chatting about her first birthday?! We were. I know it. But alas, we’ve celebrated another year, fruity style! TWO-TTI FRUITY to be exact. 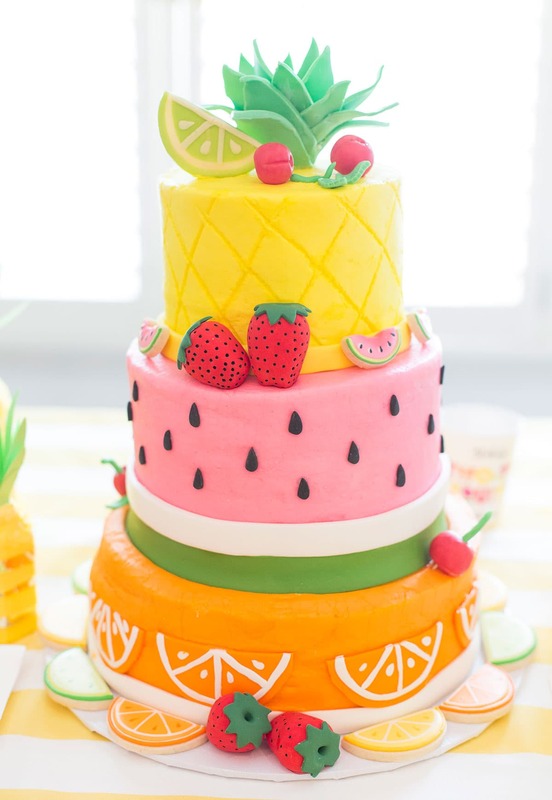 My love for all things pineapple, watermelon, strawberry….<and on and on> was fully on showcase for her birthday party! Thankfully she also adores all the fruits. 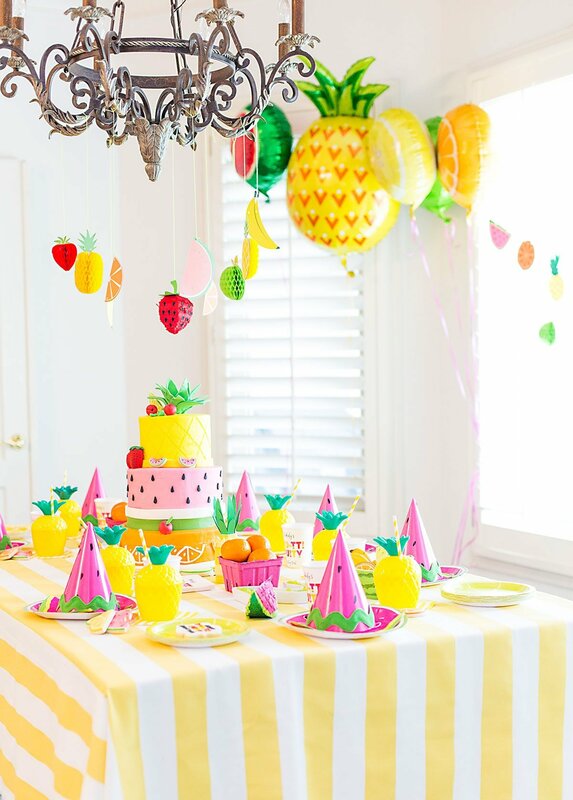 I’m so excited to share the party details with you so if you are throwing a fruit themed party, you can get lots of details + links! Hooray! P.S. Forgive me for the 2348299 photos, I couldn’t stop. 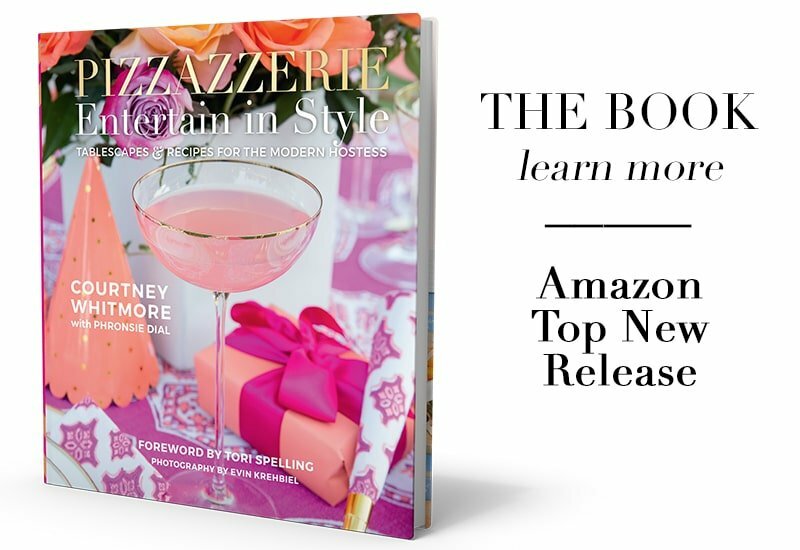 A little pause to tell you some of my favorite parts of this two-tti fruity party! We started with the adorable invitations which I wanted to slide open like little fruit slices! Erica of Harper Gray did not disappoint. 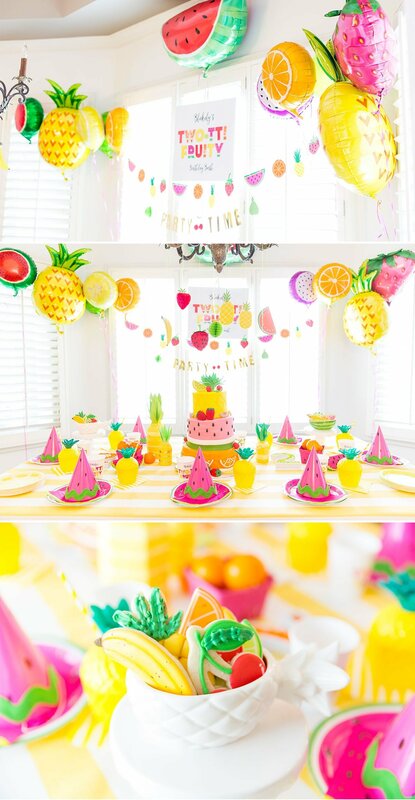 The invitations set the stage for the whole party because we used her fruit designs to make plates too! 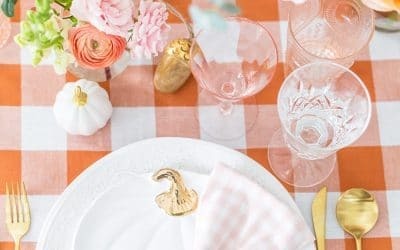 A yellow and white striped fabric made the perfect preppy tablecloth for the celebration. 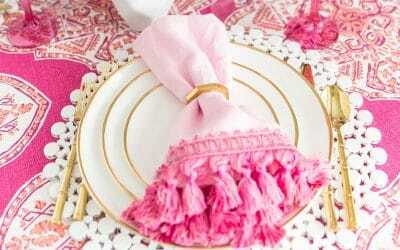 If you want a similar tablecloth (or napkins, placemats, etc), then check out this cute “chunky stripe” line from Minted. 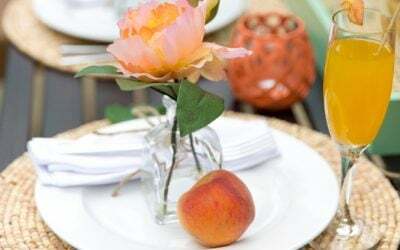 Yellow stripe is the perfect tablecloth for summer celebrations too. I find myself using it all the time! 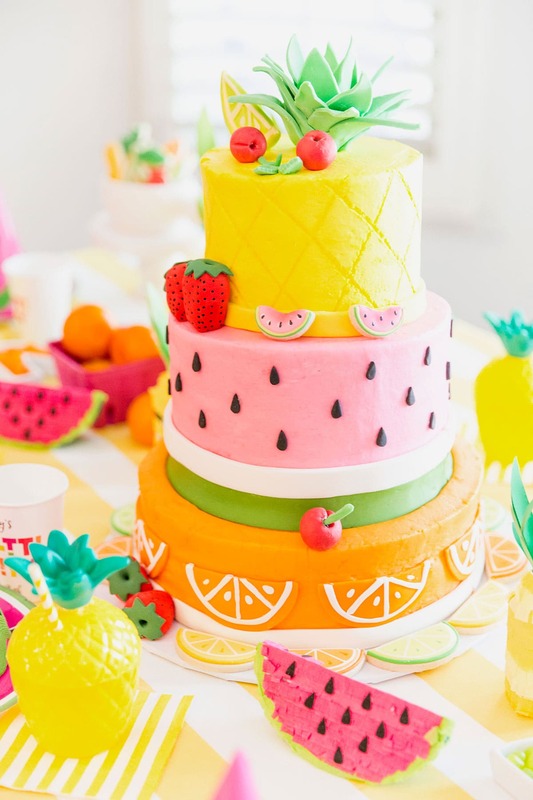 I knew I wanted a wild and crazy cake that was of course – FRUITY! Faboo Cakes was a dream to work with, adore them! The cake turned out to be one of my FAVORITE parts of the party! The flavors inside were vanilla, strawberry, and orange! Cookies were a must too so I used extras to decorate the cake display. Cookies Are My Canvas (who also made my wedding cookies) created darling fruit themed cookies. Big cookies down to itty bitty cookies, they were all so cute. 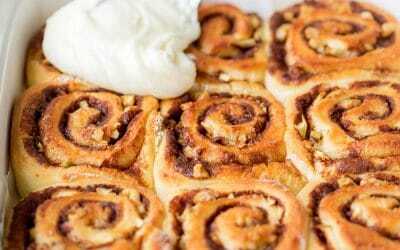 Plus, they were delish! Party hat time! I seriously love party hats even if my little Blakely was not willing to wear one (she has a mind of her own)! 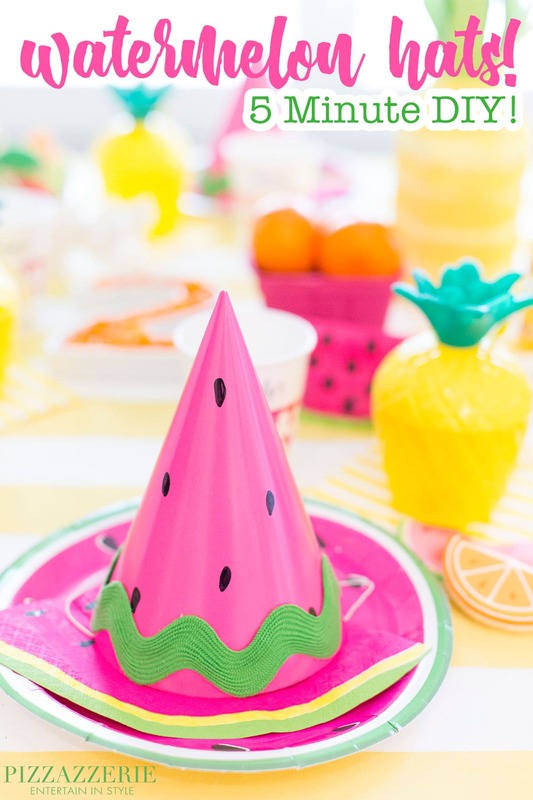 Hats are still one of my favorite party elements, even if they just serve as party decor. 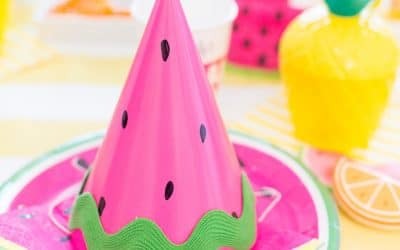 So here’s the 5 minute DIY for these watermelon party hats! Ready? I bought these pink party hats. Wrap green ric rac around the bottom with a hot glue gun. Next up, I used a black Sharpie marker to draw on seeds. And..DONE! My kind of DIY! We had adorable little fruity pinatas all over! From strawberries and pineapples to watermelons too. I got them from Lula Flora (and also one of the fruit garlands). They’re SO CUTE! 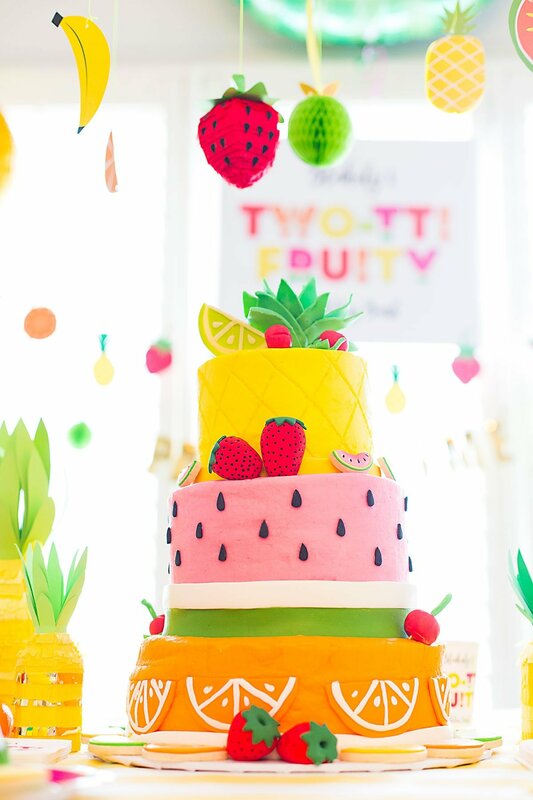 They definitely jazzed up the party table for this two-tti fruity party! 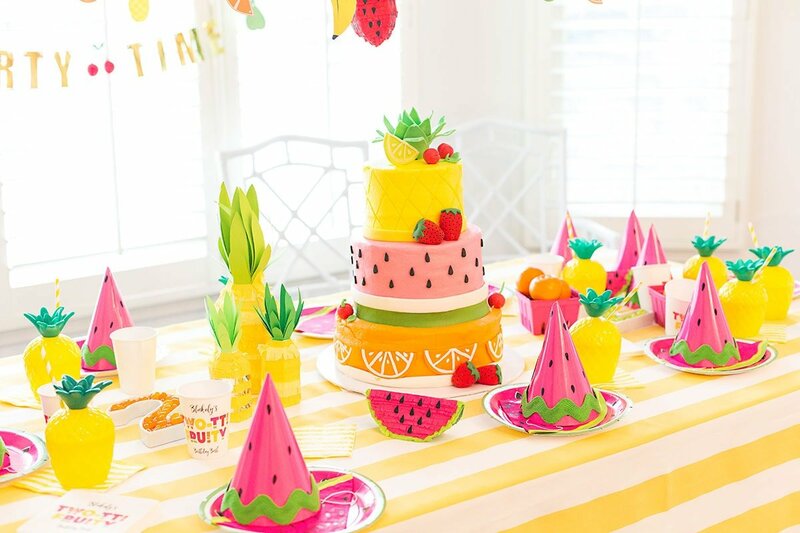 For plates, I used the watermelon, lemon, and lime designs from the invitation to make my own paper plates from Zazzle (big ones and then minis for cake). I found ordering from Zazzle to be a breeze, and I’m now obsessed with them. For food, we served…ready….FRUIT. 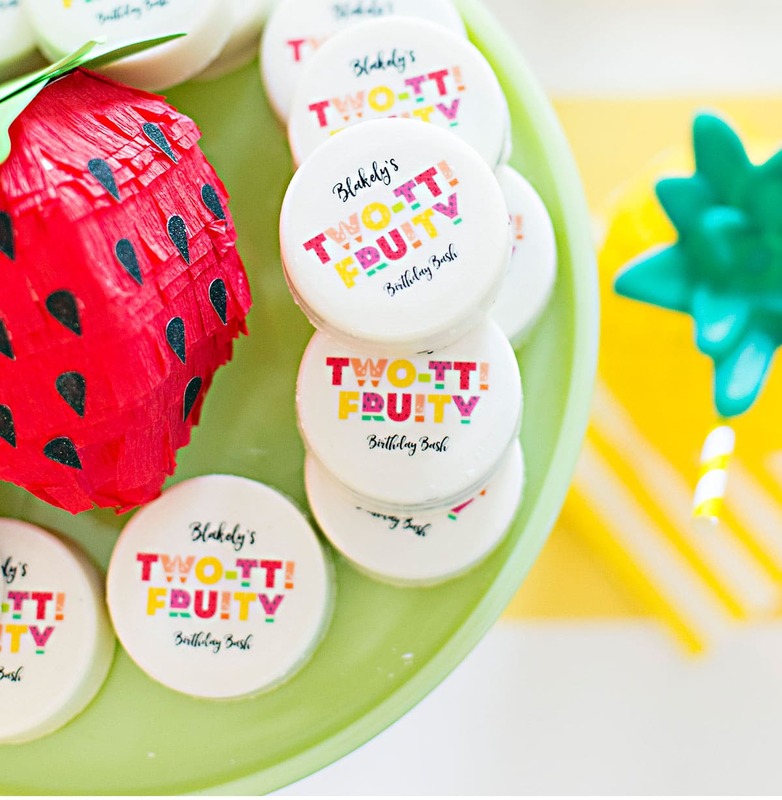 Obviously, it was a two-tti fruity party after all! My Mom carved out oranges to create little “fruit cups” to hold watermelon, grapes, kiwi, berries, etc. 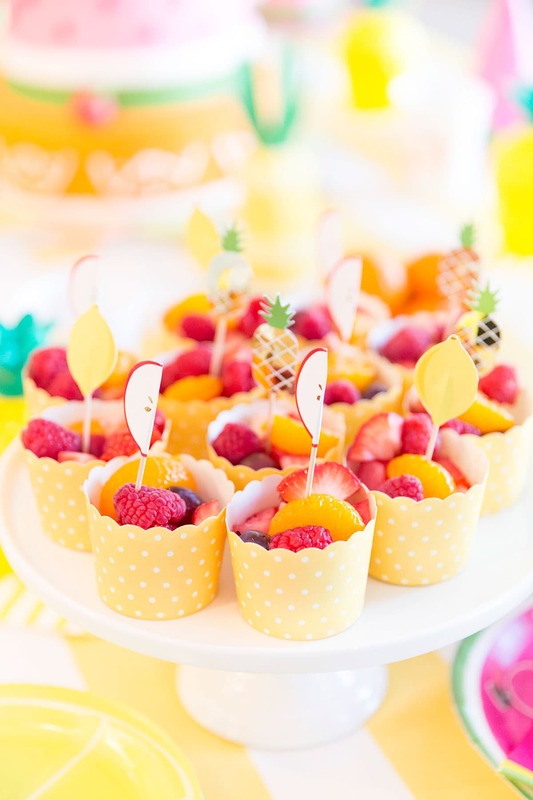 We also served extra fruit in mini cupcake liners with adorable party picks from My Paper Crush. 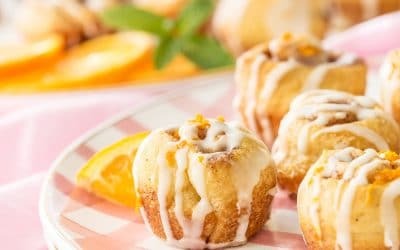 You could recreate this with carved our lemons too! 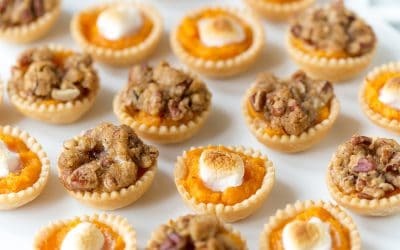 I love the miniature individual servings, they’re so cute for mixing and mingling! We also has chocolate covered Oreos, sugar cookies, and cake! 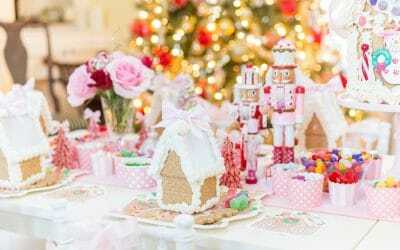 Sugar rush? Yep! Favors were little boxes of FRUIT! 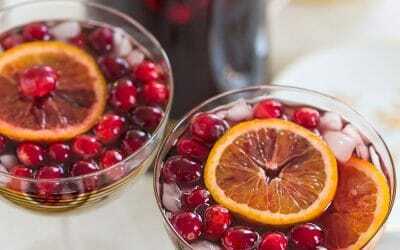 We did a mix of berries, limes, clementines, etc. 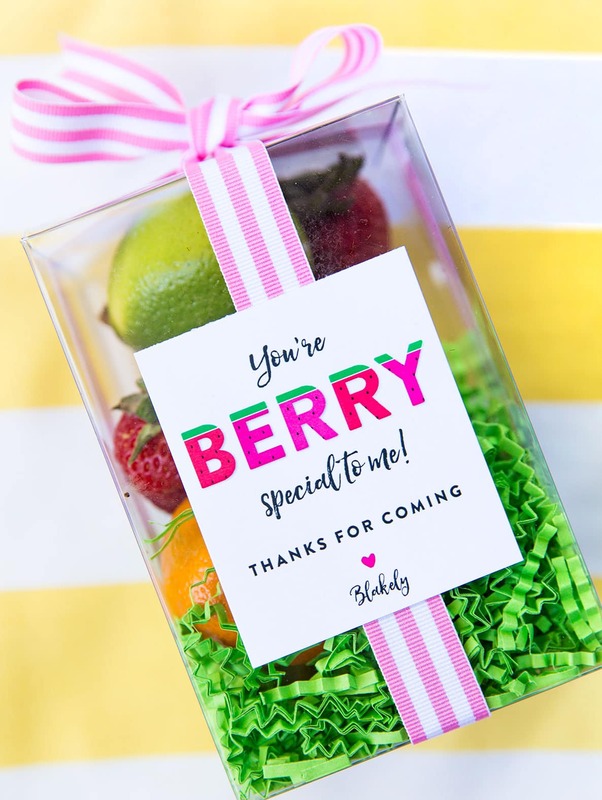 Harper Gray designed darling favor tax with the cute “You’re BERRY special to me” note! Pink and white striped ribbon with a big bow on top finished them off. 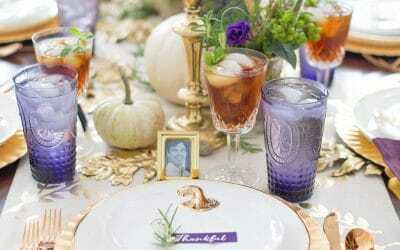 This is one of my favorite party details! I LOVE the picture above. Doesn’t it look just like she’s thinking “will they notice if I just take a lick of frosting off real quick? !” :) And a few more pictures from the party! A little proof that I was indeed present (albeit looking oh so tired, haha). 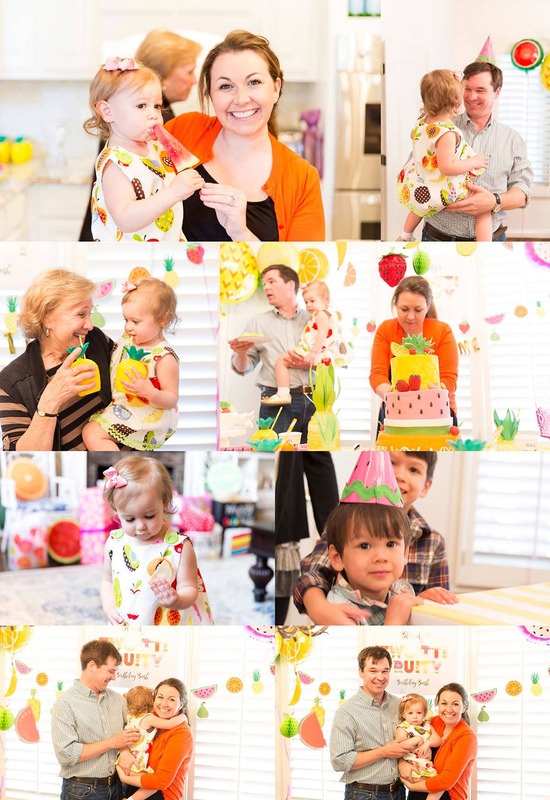 We had an absolute BLAST celebrating little miss Blakely, two-tti fruity style! There you have it! I loved sharing this sweet little party with all of you! 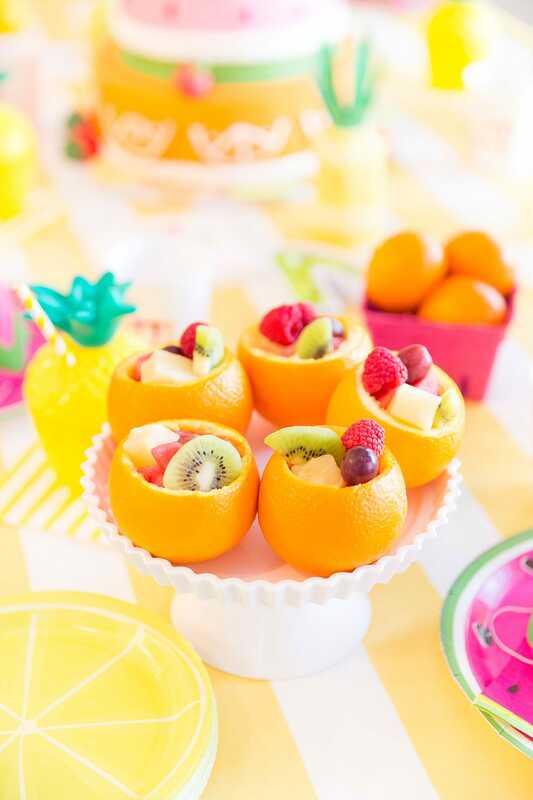 I hope you have lots of inspiration if you’re throwing a fruit themed bash too. It’s definitely going down as one of my all-time favorite party themes! Below are links for the items in the party! Want to know a source for an item not listed? Leave me a comment below! Thanks! 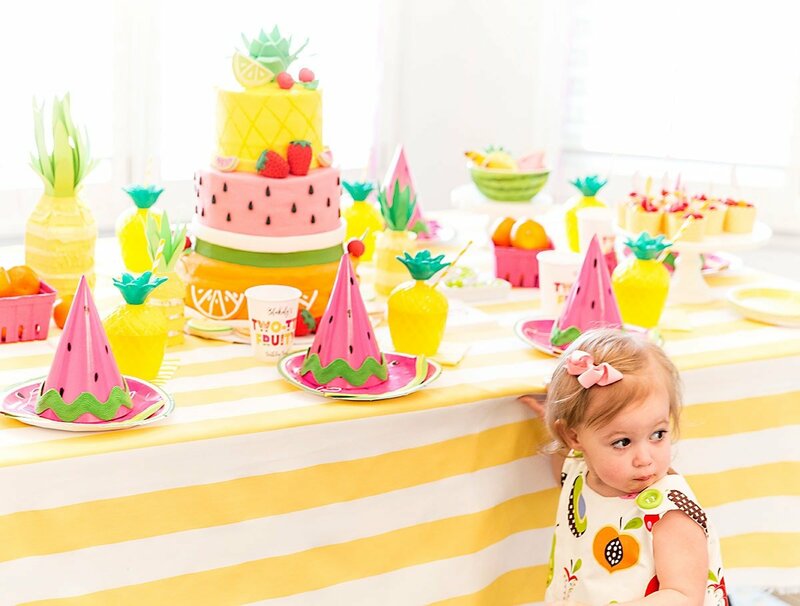 UPDATE: We celebrated Blakely’s 3rd birthday party in style with a SPRINKLES Themed Party! See it all here! 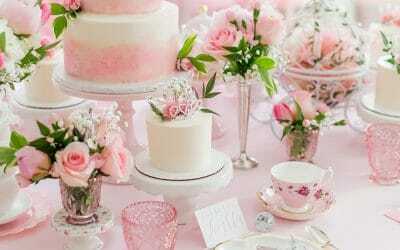 And if you missed her first birthday, it was a Pink & White Garden Party! So precious! Every detail and she is definitely a cutie!!!! Happy birthday Blakely! Oh Happy Birthday Blakely! What a colorful party! I don’t know how you come up with such amazing parties! You are awesome! So cheerful and fun! 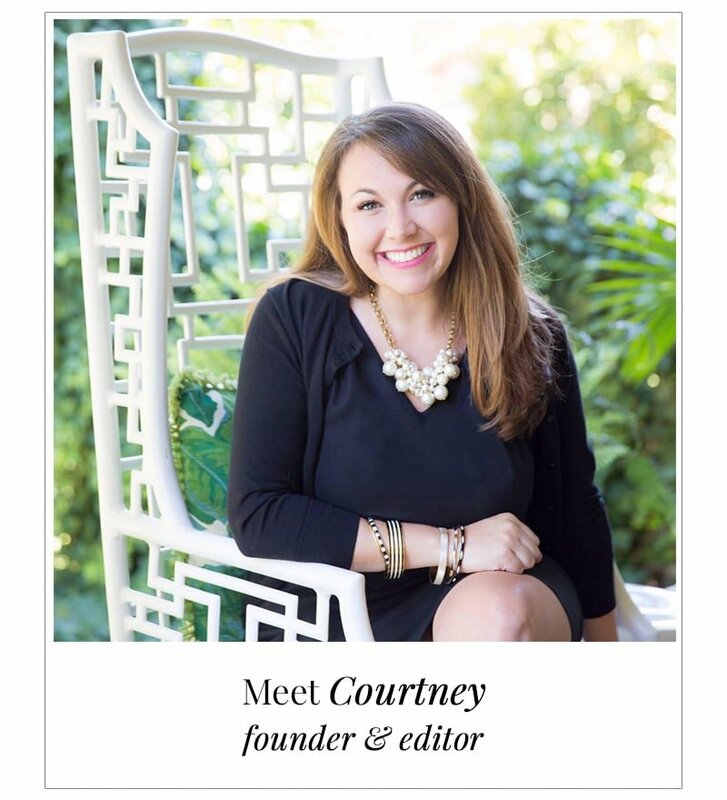 Beautiful job Courtney! Wish we could have been there! This looks like a blast. Did you save me some cake at least? I hope so! Oh Courtney what a fun and colorful party! Blakely is one special birthday girl to have a mama to creative! 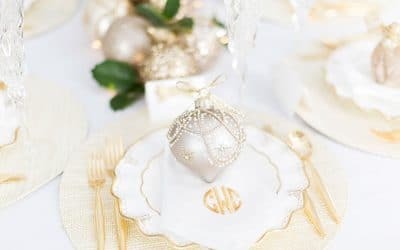 LOVE every details! Can you tell me where the Two-tti Fruity sign is from that hung behind the table? Love! 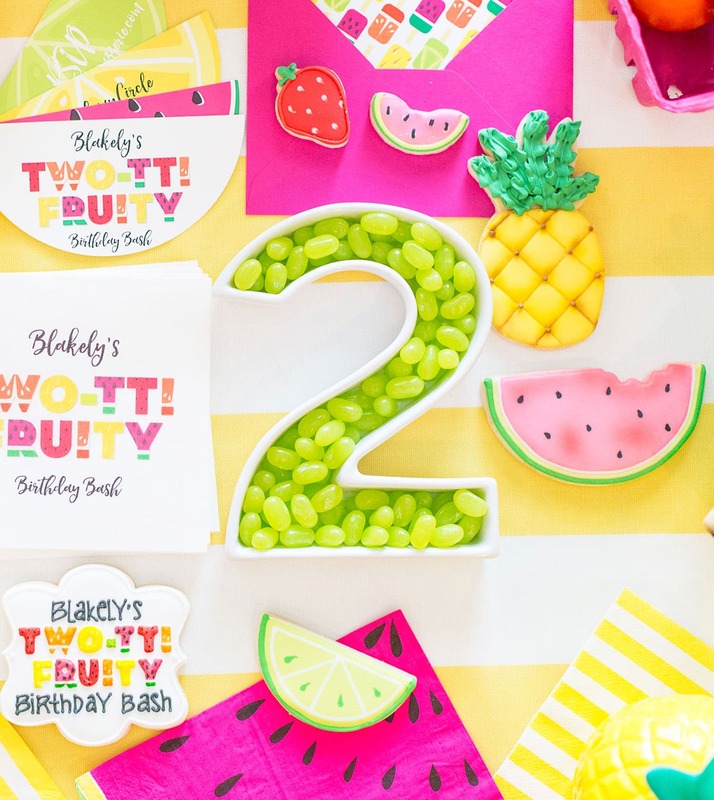 Are we allowed to use that two tty fruity design if we contact Harper Gray? Thank you! Can you tell me the Two-tti Fruity sign measurement (behind the table)? Love it! Thanks in advance! Hi Nally, It was an 18″x24″! So so cute! Where did you get the pink “berry baskets”? We already owned it BUT Minted has a great yellow and white that I linked in the post itself above! This is absolutely incredible! The amount of detailing is just amazing! Oh I love this!!! 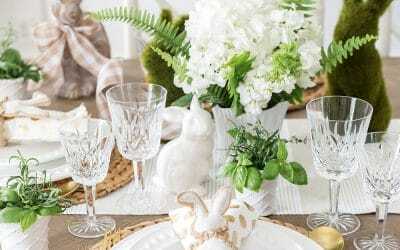 Where did you find the watermelon plates? Kristen, hi! Everything is listed in the post, you can click through to it! I believe I got these on Amazon.com but also check Shop Sweet Lulu for cute items! Love this theme! You did an amazing job! Did you have any age appropriate games or activities? If so, I’d love to know what you did. 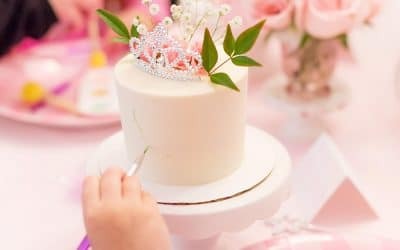 Courtney, I need you to plan my dsughter’s party–this is exactly how I want hers! You did an amazing job! And to top it off, you’re in TN (which is difficult), so finding same vendors is easy! Can I buy the graphics from the graphic designer? You’ll have to ask Harper Gray about that. Thanks! Which camera and lens did u use for the photography? What about the fruit that is hanging from the ceiling? Where is that from? I love it all Courtney. Awesome job! 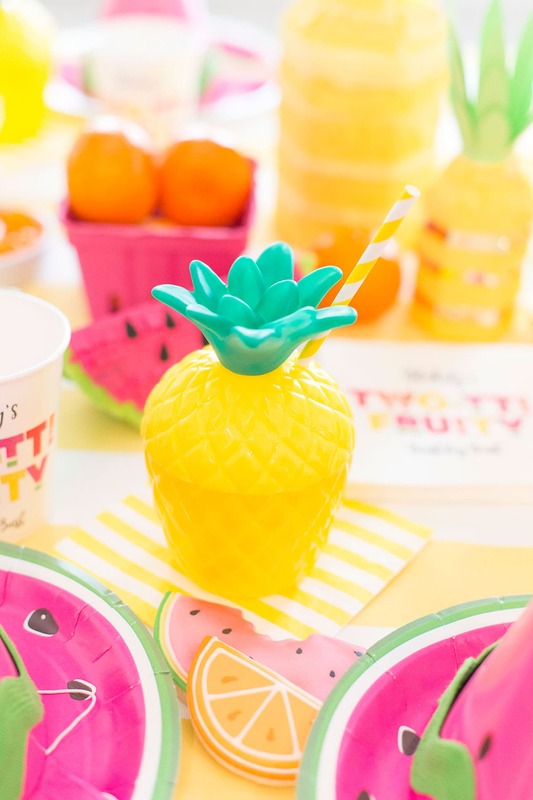 I would love to use the logo Two-tti Fruity for my little ones bday party next month. Can you recommend where I can get the logo you used? It appear Harper Gray site is down. :( I saw Etsy had the invites. It I would like to use it for the sign as well. Thanks mama! Hi Raina! 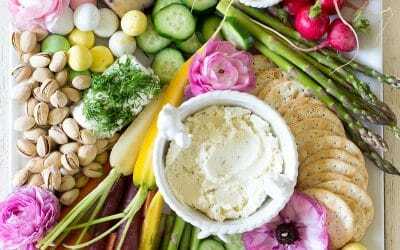 Try connecting with Harper Gray via Instagram or send a message through her Etsy account? Perhaps she was having site issues. That is amazing. You have inspired me! Where did you get the plastic boxes in whuch you put some fruit. I mean the boxes with a ribbon and text : you are so berry special to me. Hello! Such an adorable party! I was just wondering where did you order the banner from? The banner is made by Meri Meri! Hi! 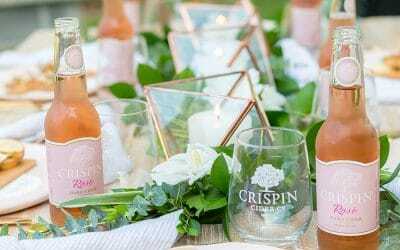 Where did you find the clear boxes for the party favors? Thank you so much. I love this party :) Where did you get the table clothes from? 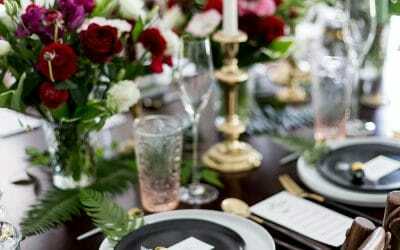 Hello, where did you purchase your tablecloths from for this event?